Naples is a fascinating city and it’s also a great base for day trips. 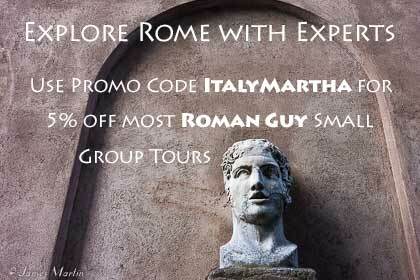 Several of Italy’s top tourist attractions are within easy reach of the city. Here are 6 of the best places to go on an excursion from Naples by public transportation. See their locations on this Campania map. If you prefer a guided excursion with transportation, see these Naples day trip tours from Viator. 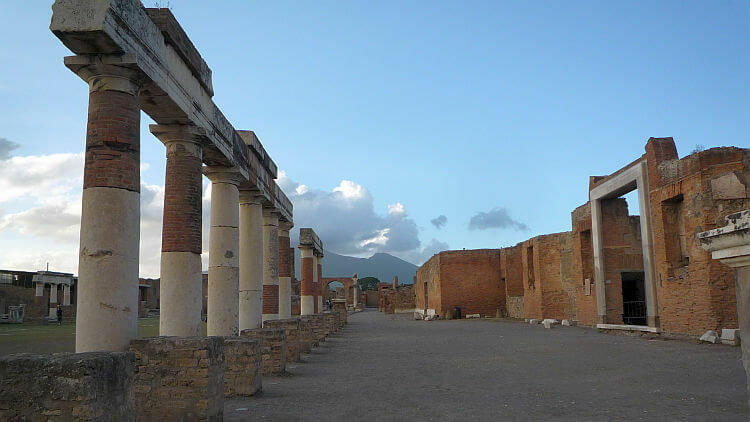 The ancient city of Pompeii, buried by a volcanic eruption, is one of Italy’s most popular and well-known Roman era sites. 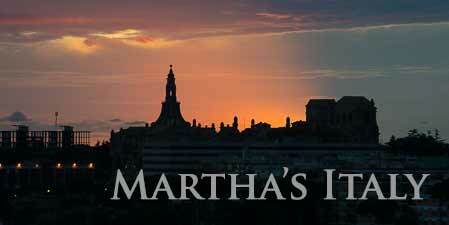 Much of the city has been excavated, making it a huge site to explore. You’ll see remains of temples, the forum, Roman baths, an amphitheater, old roads, and ancient shops and villas, some with remains of frescoes on the walls or mosaic floors. Capri has been a top tourist destination for hundreds of years and is still one of the top places to go in southern Italy. Ferries from Naples to Capri take 45 – 80 minutes, arriving at Marina Grande. 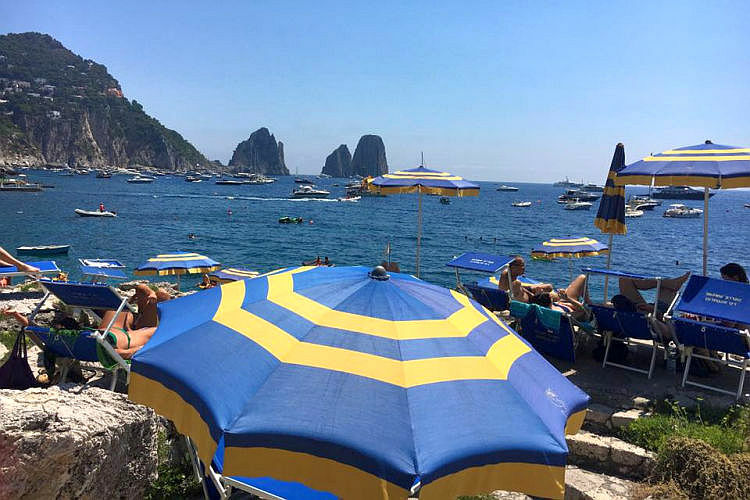 From Marina Grande you can take a boat to visit the popular Blue Grotto, catch a bus to other parts of the island, rent a boat, swim at the island’s largest beach, or take the funicular railway up the hill to the town of Capri, the island’s main town. Other islands to visit near Naples are Ischia, known for its thermal spas, and Procida. Sorrento is a charming town on the Bay of Naples with a good historic center, shopping streets, restaurants, and cafes. Sorrento is easy to reach from Naples on the inexpensive Circumvesuviana private rail line, taking a little over an hour. From Sorrento you can take a bus or ferry to towns along the Amalfi Coast. 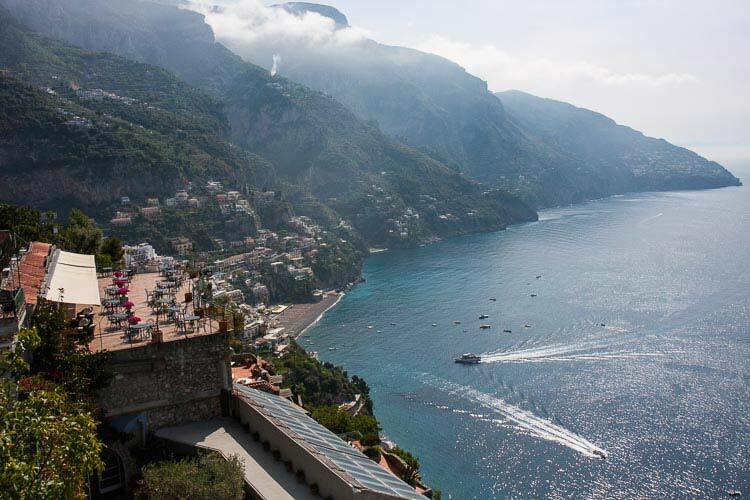 The Amalfi Coast is one of Italy’s most stunning coastlines. Beautiful towns like Positano and Amalfi are built on the cliffs, perched above the sea. Getting to Amalfi Coast towns takes a little more work though. You can take a regional train to Salerno, taking about 40 minutes, and from there travel by bus or ferry. From Sorrento, you can take a bus or ferry. From Naples there are infrequent buses. 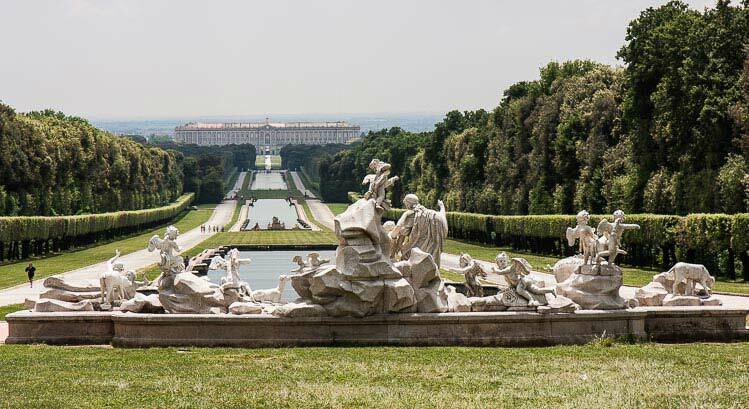 Caserta is home to a lavish 18th Century Bourbon Royal Palace and its extensive gardens. Modeled after the Palace of Versailles, the Royal Palace of Caserta is said to be the world’s biggest royal palace, with about 1200 rooms. 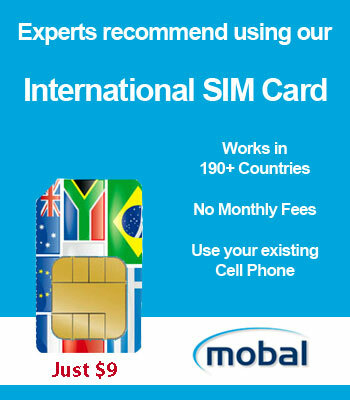 Don’t worry, you won’t have to visit them all! Gardens, fountains, and statues are spread on the grounds around the palace. Caserta can be reached by regional train, taking about 40 minutes, and the palace is a short walk from the station. Paestum is a large archaeological site with well-preserved Greek temples from the 5th century BC, remains of the Greek town, and Roman remains. There’s a good archaeological museum with finds from the site. 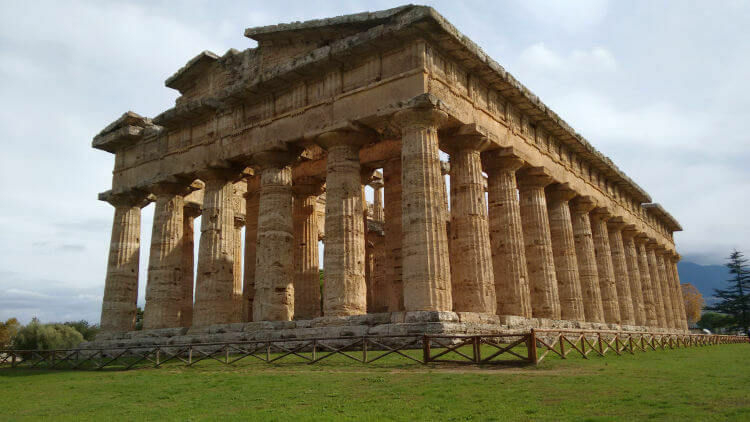 Paestum can be reached by regional train, taking about 1 1/4 hours, and the site is about a 15 minute walk from the station. You’ll find a few restaurants and bars outside the site. Naples is best visited by public transportation. We do not recommend driving in Naples! Learn about trains to Naples and train stations and book train tickets on Rail Europe’s Naples page. Naples is a major stop on the west coast rail line and has a station for the private local rail line, the Circumvesuviana. It’s also a major port with ferries to islands of Capri, Ischia, Procida, Sardinia, and Sicily and seasonal ferries to Sorrento. Naples has an airport with flights from other Italian cities and European cities. 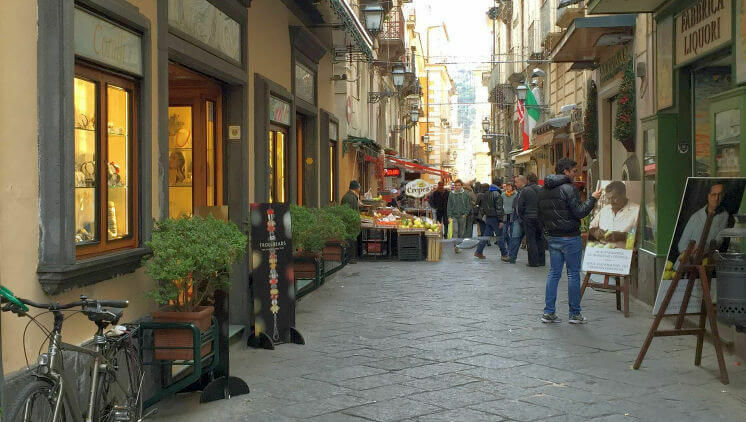 For an introduction to the city, take a Naples walking and sight-seeing tour or a Naples food tour.